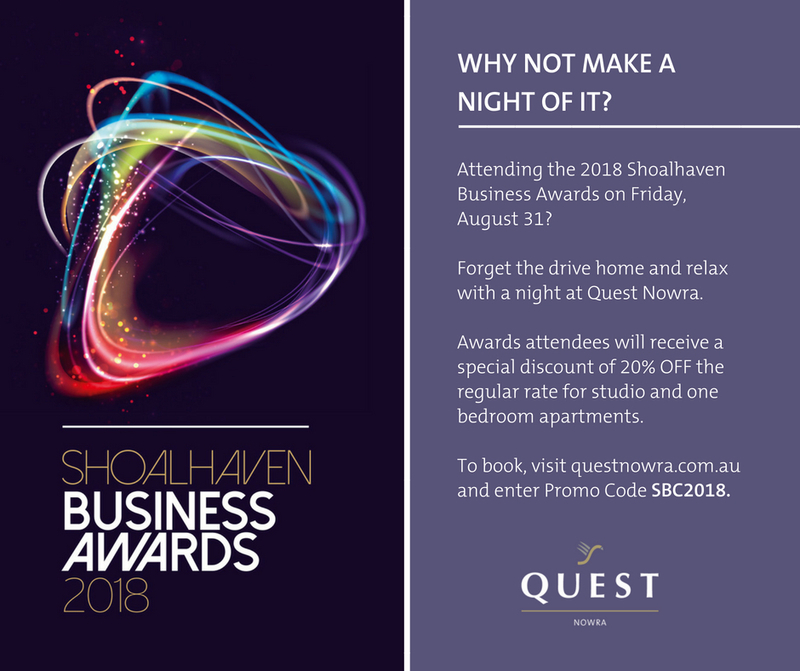 Awards sponsor Quest Nowra is offering a discount to all Awards gala attendees who would like to stay in one of their studio or one bedroom apartments. Start and end your night in comfort and style, with a relaxed and comfortable accommodation experience in a studio, one, two or three bedroom apartment style hotel room. Located at 130 Kinghorne St, Quest is ideally located to ensure an easy, stress-free transfer to and from the Awards.